this is my week of doing whatever art i want. so i’m trying to rough out characters for a story. and practising inking in prep for inktober. this girl didn’t end up how i imagined her but i coloured her anyway because I am trying to force myself to learn manga studio. The woman (Mrs Landers) is dead, discovered by another train passenger. The mark on her neck indicates to the police that it may not have been natural causes. Yep, the only person to notice anything on the tram is a little kid, who noticed another lady with Mrs Landers. Not pictured: the body is taken away for testing and we find out she died from being poisoned. The police go to Mrs Landers’ house and have tea with her housekeeper, who says that she’s been home all day. She shows them the necklace in question (in Mrs Landers’ room). The police note that she has a coat like the one described by the kid on the tram. Not pictured: The barman confirms that the dude has been there all day and therefore couldn’t have killed her. The police then return to Mrs Landers’ house, find a syringe in the bin outside, and catch the housekeeper leaving the house with the expensive necklace in her bag. I’m not including the text for this one but I will give you a link as soon as the book goes live on the SPELD website. In the meantime, feel free to send me an ask guessing what the plot is (or just asking) and I’ll fill you in. I’m keen to know how much of the text can be deciphered purely from the pictures. 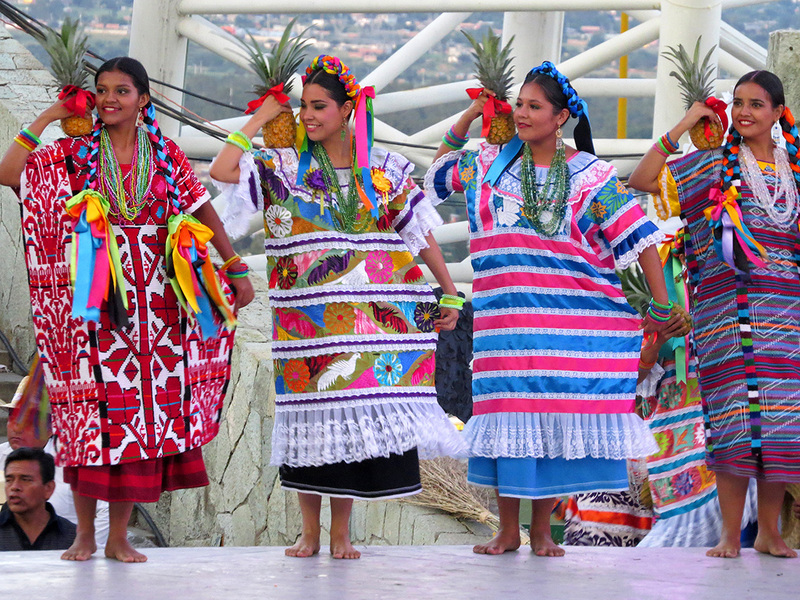 Flor de Piña is a Mexican folk dance (specifically from Tuxtepec, Oaxaca). You can watch it here. The picture I used for most of the reference is this one. do any of you have any ideas of places i should look or have fave artists to recommend?